An introduction to Trivandrum, Kerala's easygoing and energetic capital city. Popular globally for its Victorian style buildings, major art museums and 200-years-old Travancore palaces. Explore the artistic city with the guide. Get mesmerised by the beauty of art & culture of Kerala. Visit art galleries, temples & museums. Our expert guide for the tour will reach your hotel at your select timeslot and after a quick introduction, we will start our tour of Trivandrum. In the beginning, we will visit Sree Chitra Art Gallery which has exquisite works & paintings by Raja Ravi Varma. You will proceed by visiting Napier museum, which is designed in Indo Saracenic style. Visit the Kuthiramalika Palace built by Maharaja Swathi Thirunal of Travancore. Inside capture its collections of the royal family such as wood carvings, paintings and various priceless articles. Proceed with the visit of the Padmanabha Swami temple which is recently identified as the Richest Temple in the World. After 4 hours of journey, you will end the tour & you will be dropped back to the hotel. All driver and fuel charges. Any parking and toll charges. Entrance charges at Palaces and Temples. 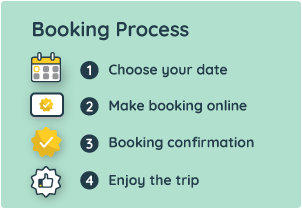 You will receive complete operator information, including local telephone numbers at your destination, in your Booking Confirmation Voucher. Meet & greet your friendly driver at your Hotel/Residence in Trivandrum. The operator will be in contact with you to coordinate the pick-up time. The driver will pick you up directly from your hotel or specified pick up point. Please enter the pick-up location at the checkout page.